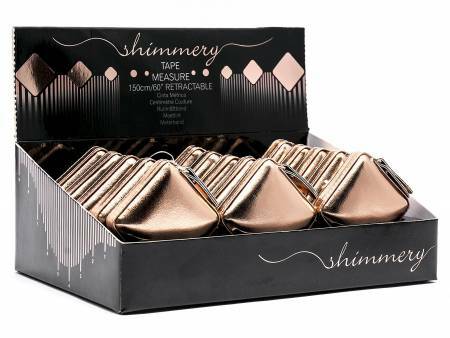 This shimmery Rose Gold Tape Measure display contains quality, retractable tape measures with Imperial and Metric measurements in 150cm/60in. Premium, fashionable, perfect gift for ladies. Item dimensions: 8-1/4in x 5in x 3in. Item gross weight: 1.15lb.